We were at the end of our ten day vacation in Napa and Sonoma. It was Saturday and we were heading over to Dry Creek to visit our friends at Verite. What a pleasure hanging out on lake Verite on a hot summer day. Unfortunately Pierre and Monique were not available, so we were not able to see them, but it was great having Pierre’s assistant Timothy host us. Timothy greeted the four of us as we exited our vehicle. After initial greetings we were off to the lake with some good 2009 Vintage Verite wines and Pierre’s Rose wine. 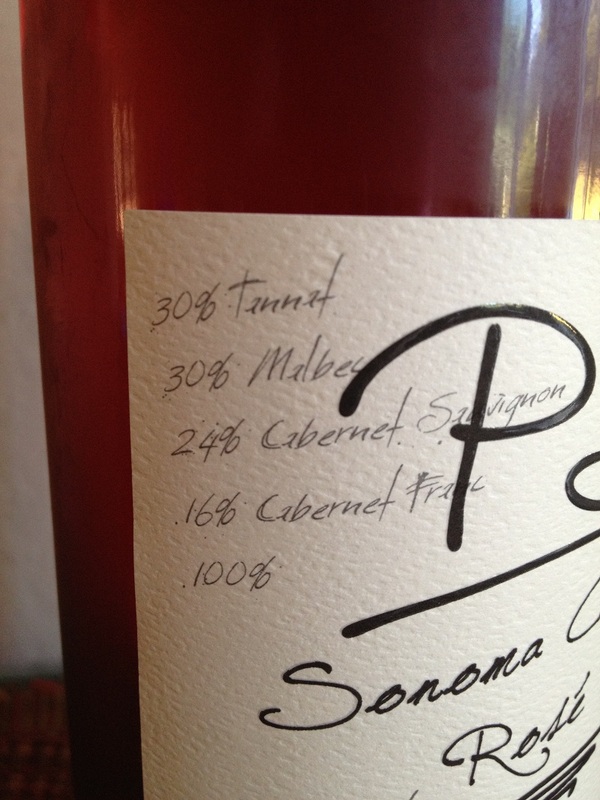 We settled in on a picnic table under a tree and Timothy poured us each a glass of the 2012 PS Rose. 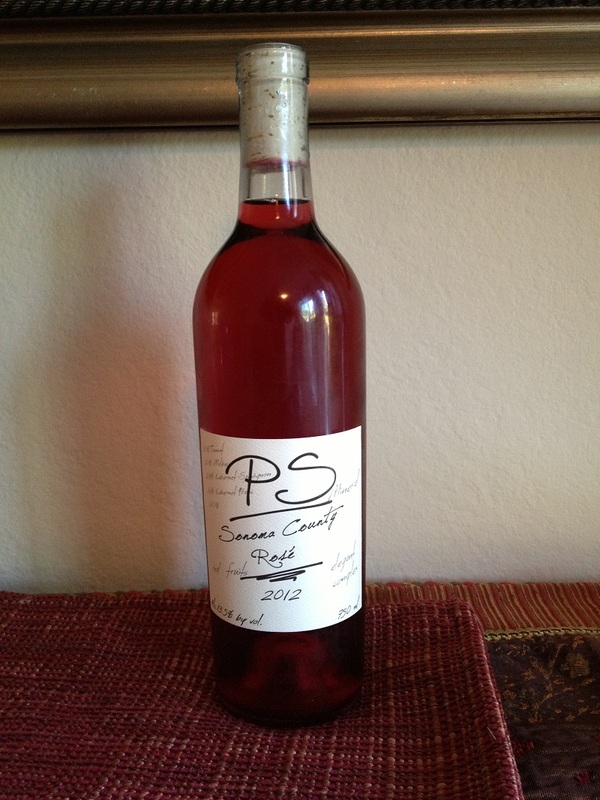 The 2012 PS Rose is a blend of four reds, 30% Tannat, 30% Malbec, 24% Cabernet Sauvignon, and 16% Cabernet Franc. The Rose never touches the grapes skins; nor is it introduced to Oak as Pierre used stainless steel tanks. All that we were tasting was the fruit juice from the pressed grapes. The Rose was quite refreshing in the heat and we all enjoyed it very much. After enjoying the Rose we moved on to the three Verite wines. Following the tasting we headed back to the Estate and said our goodbyes. We were fortunate and received a couple of other bottles of the Rose, so I planned on sharing for our final dinner at the house. We were to have Sloppy Joe’s and eat up a few other items left in the fridge. Here are my tasting notes prior to eating our meal. Medium color depth and a very nice salmon color hue. The 2012 PS Rose was very aromatic and smelled fruity. Some of the aromas were Strawberry, Strawberry Liquorice, Rhubarb, and other light floral notes. It was not sweet or dry and was medium bodied while the initial taste was slightly tart. The acidity was nice as our mouths salivated with every sip. The Rose was very flavorful with tastes of soft red fruit. I could feel the Rose in my mid palate and the finish was long. How much: The Rose is not for sale. Its given as a gift or shared during hosted events. The label is designed by their daughter Helene’s boyfriend Erwan. I like the design as it is simple and appealing to the eye. One could assume the PS would be Pierre’s initials, but I’m not sure. 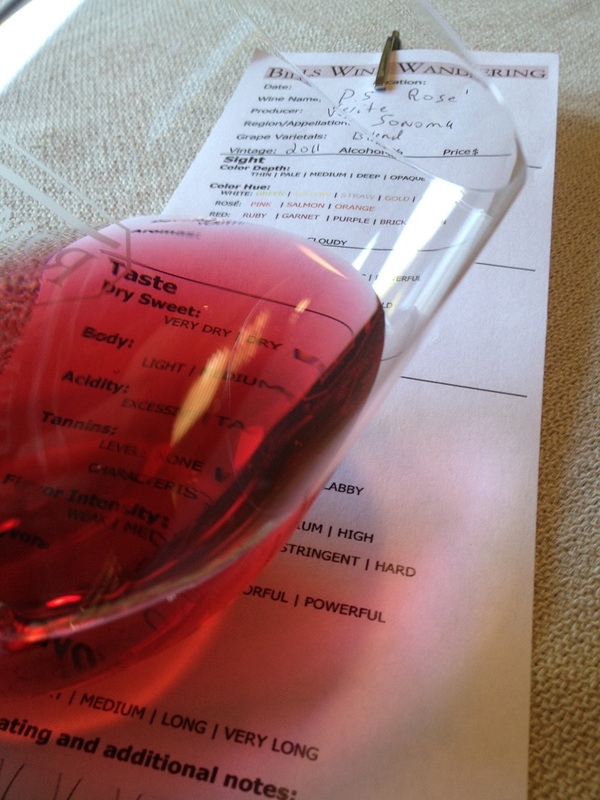 I rated the 2012 PS Rose three glasses. 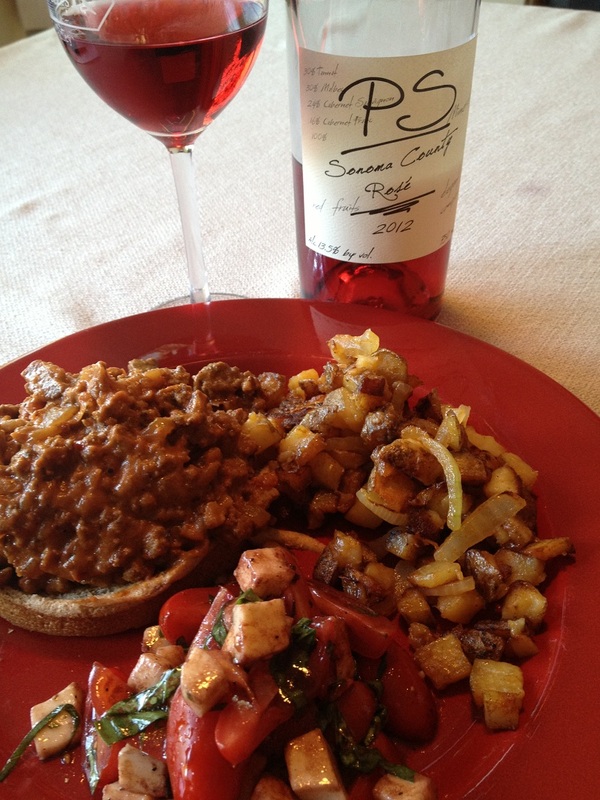 We are looking forward to the next hosted Verite event so we can enjoy some more of the 2012 PS Rose. The Rose’ paired well with our last dinner in the house.